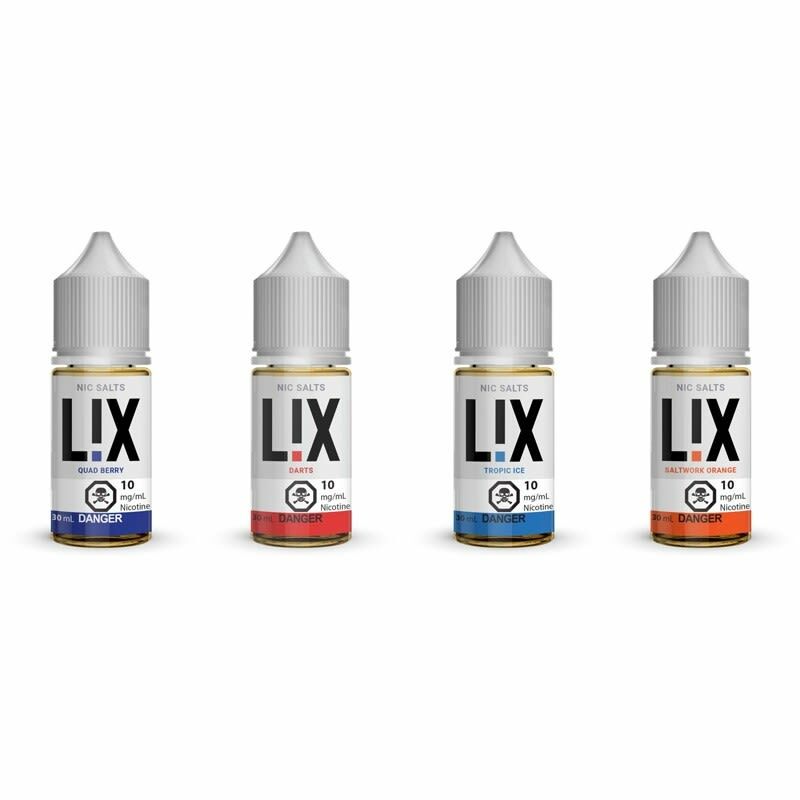 L!X is a line of nicotine salt e-liquids perfect for seasoned vapers, and newly transitioning smokers alike. Enjoy the full line in this convenient bundle, and get a 16% discount off regular price!!!! 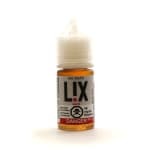 L!X is a line of nicotine salt e-liquids perfect for seasoned vapers, and newly transitioning smokers alike. Enjoy the full line in four 30mL bottles, in this convenient bundle, and get a 16% discount off regular price! "Nic Salt" is the naturally occurring state of nicotine found in tobacco. E-liquid with extracted nicotine salt is known to more closely emulate the nicotine absorption rate of traditional smoking, while providing a smoother inhale. Because of this, Nicotine Salt e-liquids are available in higher nicotine strengths than other e-liquids and can be more satisfying for vapers wanting minimal vapor cloud. Nicotine Salt e-liquid is a great option for new vapers looking for a vaping experience as close to smoking as possible, or those using low wattage mouth-to-lung e-cigarette devices. Because of the higher concentration levels of Nicotine Salt e-liquids, they should not be used with high wattage or sub-ohm vape devices.